The 360-degree hinge and durable construction make it good for constant travel. 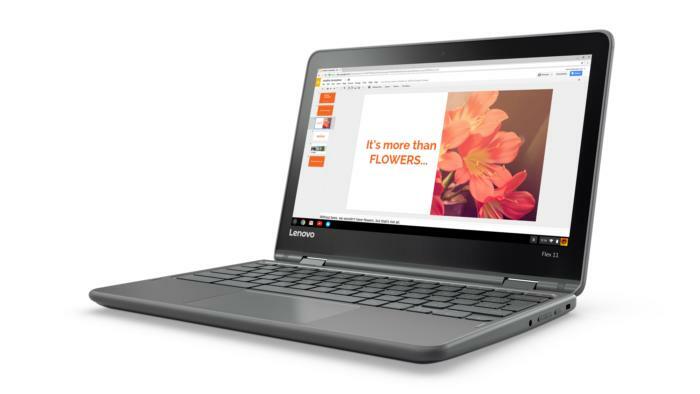 Lenovo's Flex 11 Chromebook is one of the new generation of Android-app-loving Chromebooks hitting the market this year. Announced Wednesday with a starting price of $279 and due to ship sometime in April, it also boasts a 360-degree hinge and extra-sturdy construction. 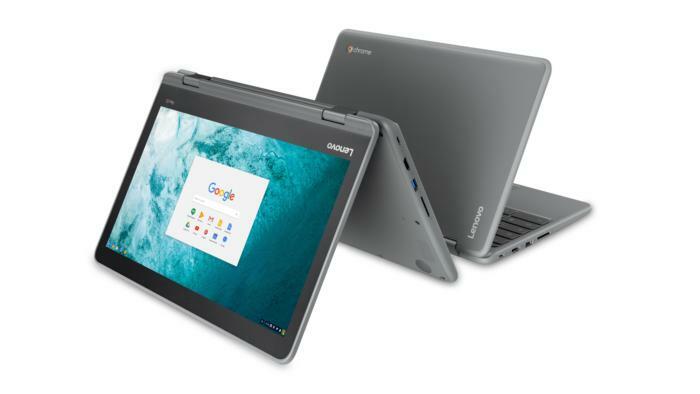 The Flex 11's ability to change from clamshell to tablet and any position in between is even more appealing now that Android apps will be part of the Chromebook's bag of tricks. Chrome isn't really designed for tablets, but Android is. At the same time, Android may sometimes be easier to deal with using a real keyboard. The Flex 11 lets you have it your way. As you carry the Flex 11 hither and yon, you can feel good about its extra-durable construction. We used to see this mostly in Chromebooks for education (and the occasional consumer model like the Asus C202S), but kids aren't the only ones who can abuse their stuff. We all know someone who jams their machines into their bags with the rest of their junk, or jostles and knocks the chassis as they haul it around. For these people, the Flex 11 is designed to survive a drop of up to 2.4 feet. All its ports and its touchpad are sealed against water seepage. Special channels in the keyboard deck can divert and drain up to one cup of spilled water. The chassis even sports a non-slip texture for a more secure grip. Lenovo's Flex 11 includes a 720p webcam over the 11-inch display. Inside, the Flex 11 Chromebook's specs are pretty typical. It has an 11-inch, 1366x768-pixel touch display. I prefer higher resolutions, but this display is adequate for basic computing and even has an anti-glare coating. The CPU is a 2.1GHz quad-core ARM. The Flex 11 weighs less than 3 pounds and has a battery that lasts up to 10 hours, according to Lenovo. Connectivity looks good: It includes a USB 3.1 Type-C port for data and charging, plus traditional USB-A. You also get an SD card slotsand a full HDMI port, plus a 720p webcam above the display. One thing you won't see on Lenovo's Flex 11 is pen support, which is still rare among Chromebooks—only Samsung's new Chromebooks sport a slender stylus in a spring-loaded slot. Still, we can't wait to try the new Android-Chrome blended world the Flex 11 brings. We'll let you know if we get to review it.